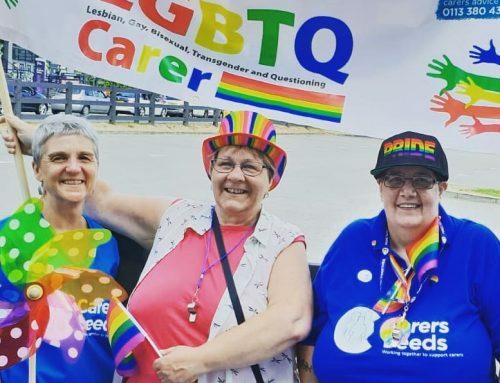 It was fantastic to see our blue Carers Leeds t shirts appearing in so many photos of different Leeds Pride events which took place over the weekend. 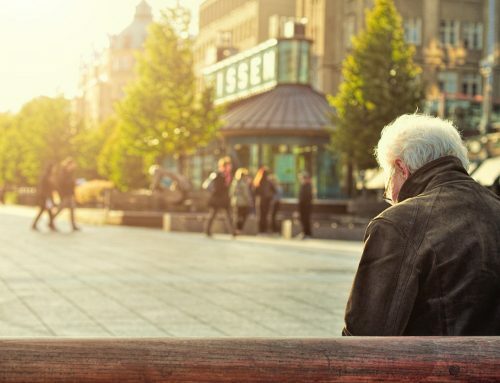 The Market Place event, held at the City Museum, was a great success where we met up with many different visitors, other organisations and the Lord Mayor – we were able to tell people about some the issues faced by carers and the support we can offer. 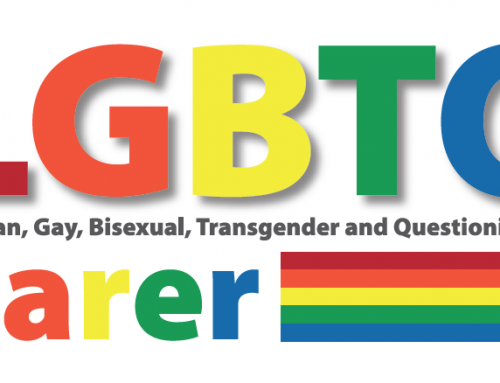 We also promoted our new monthly LGBTQ carers support group. 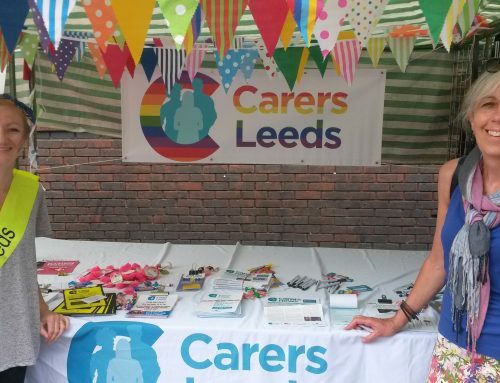 The Pride parade on Sunday saw the Carers Leeds team, with some of our supporters, dancing along to the fantastic Hyde Park Brass, and holding our LGBTQ Carers banner high. We also had a stall all day on Lower Briggate and, attracted by our large white bear, loads of visitors called in and found out more about what we do. Massive thanks go to our volunteer, Karen Lewis, who put a lot of time, energy and imagination into organising our presence at events, to the staff who helped out over the weekend, and Markel insurance who donated the lovely white bear, now known as Clarence. 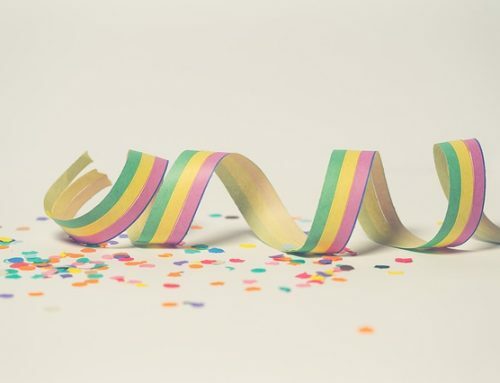 More images can be found over on our Facebook page.